新升级程序后数据库出现错误导致不能备固件的修正方法 - 维修文档视频 - PC3000 军达成数据恢复论坛 - Powered by Discuz! 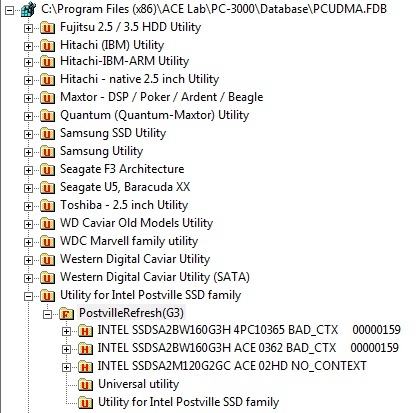 Sometimes PC-3000 database can get a problem with the folders location. 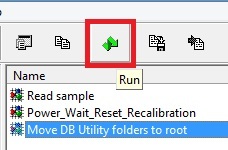 One or more folders from the root are moved to the other place. Such behavior caused by problems with database service in OS or critical shutdown of this DB. How to solve such problem? Here you can download the script file that will move profile folders to the correct place in the PC-3000 Database. Then select it and execute this script. 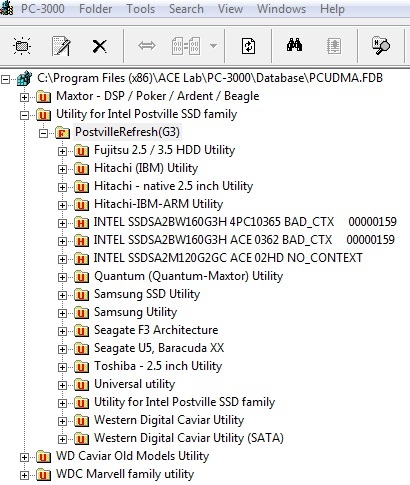 As you can see now Profile folders have a correct location in the PC-3000 Database. GMT+8, 2019-4-21 16:43 , Processed in 1.119053 second(s), 14 queries .